Home / KAWALA / música / video premiere / KAWALA release video for new single "Do It Like You Do"
KAWALA release video for new single "Do It Like You Do"
Fresh off the back of releasing their new single Do It Like You Do, KAWALA are today revealing the video for the single. Directed by Tim Moorhouse, it features a collective of KAWALA's friends and family that all came together at a school in Kentish Town to shoot the video. Watch it below! We've always felt it important to involve friends and family when and where we can. The sense of community is something we want to accentuate. Do It Like You Do is the follow-up to the Kentish town duo's debut single Small Death, and pushes the band forward in natural but unexpected ways, a slinky, summery jam that features hushed vocals that could easily belong to Wild Beasts or Glass Animals, incorporating afrobeat, indie-pop and beyond! The message in 'Do It Like You Do' that we want to convey is one of encouragement in the face of a new surrounding or scenario. The best way to deal with finding yourself in a new setting is to do what you do best. We wanted to reflect this through the upbeat positive nature of the track. The journey of KAWALA so far has been anything but traditional. Signed to Mahogany Records (the new venture between Mahogany Sessions and Marathon Artists), the band, led by Jim Higson (vocals) and Daniel McCarthy (guitar), came together whilst studying at Leeds College Of Music. It was only a few months before they agreed to drop out, head back to their beloved North London and start the band. Completed by a live band of friends from Kentish Town which includes drums (Ben), electric guitar (Dan) and bass (Reeve), Jim and Dan's music comes fully to life in a full-band setting, with flourishes of subtle but affecting percussion, flicks of electric guitar and atmospheric synths all making up their confusing but intoxicating world. 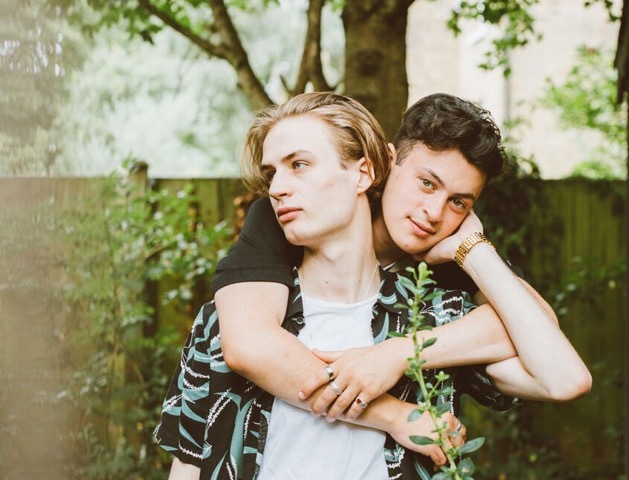 Having already sold out their headline shows at The Waiting Room and Camden Assembly - and all before they even put a track out - KAWALA will headline Omeara on April 18th.